Volunteers with the newly completed a-frame. 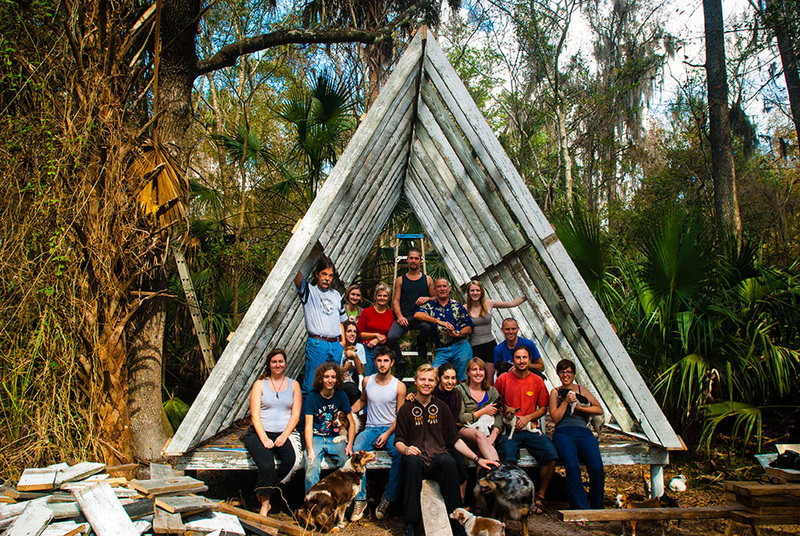 We are a host member of both WWOOF USA (Worldwide Opportunities on Organic Farms) and HelpX, both of which are wonderful organizations that allow a learning experience for volunteers as well as us! We require all volunteers to be a member of one of these groups.